The first layer and the second layer are 9 grid design,the third layer 4 grid design, suitable for storing large products such as watches, necklaces. 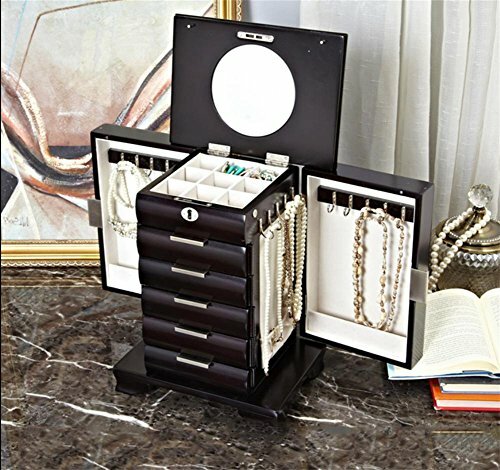 the fourth layer of the Rings layer, high-grade velvet, long-lasting care of jewelry shiny, delicate; the fifth and sixth layer for the single pumping, more jewelry can be easily classified storage. Single key gold lock design,hardware accessories, Durable, beautiful and generous.